This weekend saw the Annual Bog Man 2 day event, run by Western Lakes CC, take place in Tullycross, Co Galway. It consisted of two great days of racing, a 100km road race on Saturday followed by an 8km Time Trial on Sunday morning and a 96km road race on Sunday afternoon. The route brought the riders through some of the most stunning scenery that Connemara has to offer, including Renvyle, Inagh Valley, Maam Valley and Kylemore. We had two riders competing in this event, Cathal Purcell and Jamie Blanchfield. On Saturday evening, Stage 1, a 100km Road Race started out from Tully Cross. It was a difficult race that was marred by crosswinds. However, Cathal Purcell got involved in a strong five man group that went clear in the final 20km. He attacked on a small incline with only 2km remaining and stayed away to take his first A1 win and the yellow jersey heading into Stage 2. Blanchfield sprinted from a chase group to take 6th place. On Sunday morning the riders took to the line to complete an 8km Time Trial. Even though Purcell rode well, retaining the yellow jersey was not to be as he finished in fifth place, leaving him in second place overall with a deficit of seven seconds which he needed to try to make up on the last stage. The third and final stage got going at one o’clock. Jamie Blanchfield got away in an early break with three others. They worked well together to stay away with the eventual stage and overall winner, Conor Hennebry (Team Viner Caremak Pactimo) coming from that group. Blanchfield rode really well to take third place on the stage. Purcell came home in the main group which was just enough to hold on to his second place in general classification. It was a tough race with numerous groups scattered back the road. 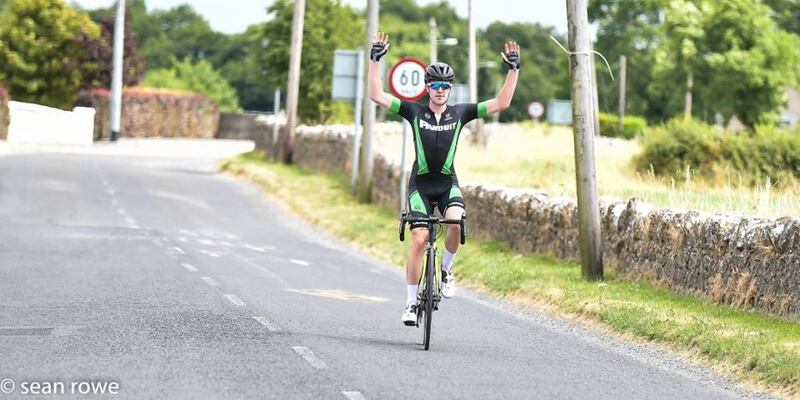 As well as this, Matthew Sparrow took his first win at A1 level in the North Tipp Wheelers Open Races. Just like the Bog Man, we also had two riders in the main event here, Sparrow and Daryl Kearns. It was a very fast and aggressive race right from the beginning but at the start of the 2nd lap Sparrow bridged across to a dangerous looking move. Shortly afterwards they was joined by Daryl Kearns and one other. From then on they put their heads down and pulled out the gap to over a minute. Everyone worked honestly in the break until the final 4 km when Matthew saw his opportunity to attack and go over the top of the drag and held his position until the finish line. Kearns came home in 3rd. place having rode like a train all day and being instrumental in helping Sparrow set up his win. 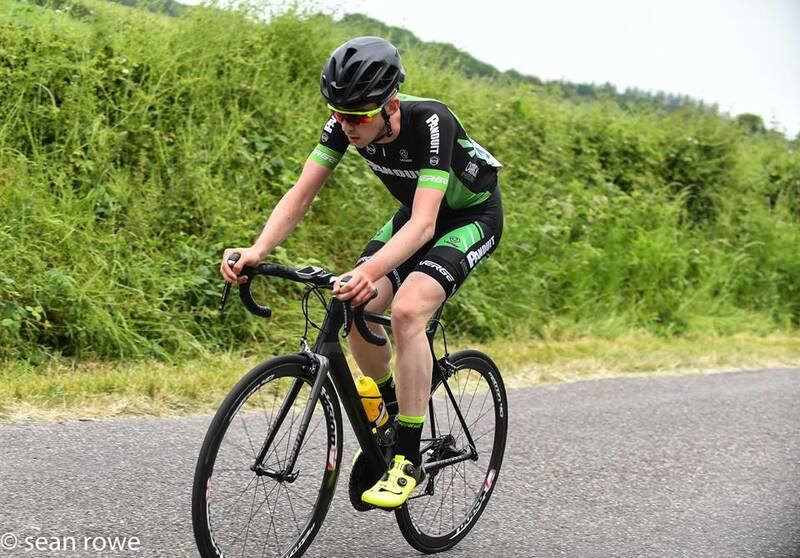 As well as this, Conor Madigan, took the A4 win in the North Tipp Wheelers Open Race. It was only Conor’s third race this year so his expectations were not that high. His main aim for the day was to stay out of trouble and gain some valuable experience. The pace was unusually slow for parts and so a few breakaways tried to escape but none came to fruition. The race really kicked off with about 8km to go and as Conor felt good, he decided to try to work his way to the front. Together with three others, they attacked at the 500m mark and before he knew it, he was crossing the line to take his win. In the A3 event, Kieran Condon came home in 6th. place to round out our string of results in North Tipp. Also in action over the weekend were our underage riders. Patrick O’Loughlin and Tom Kinsella travelled north to Co. Meath for the Moynalty GP. It was well worth the trip up as Patrick came away with second place and Tom, third place. 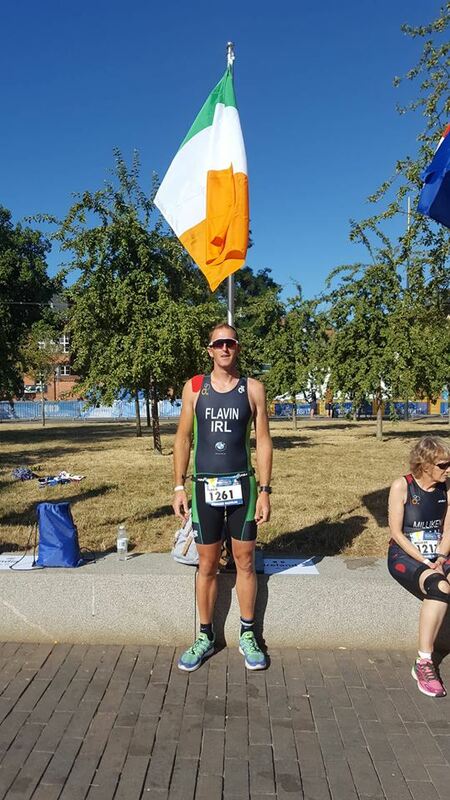 Overseas, another of our A1 riders, Marc Flavin was competing in the World Duathlon Championships in Odense, Denmark. Marc performed brilliantly to finish 6th in the Age Group 35-39 and 16th overall from 287 competitors, a fantastic result for his first outing at World level. 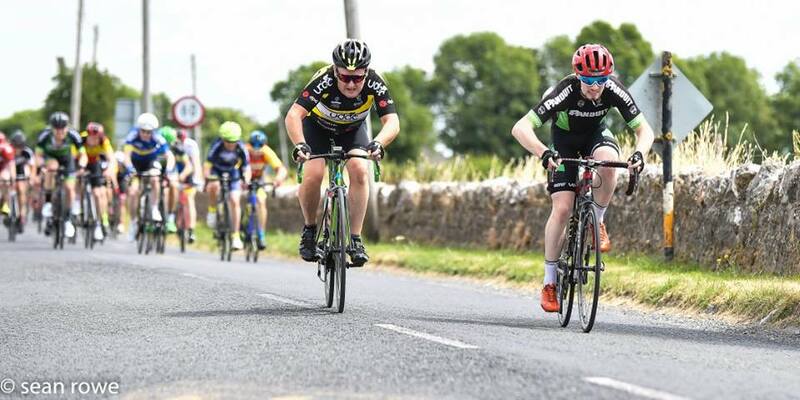 Overall, it was a great weekend for Panduit Carrick Wheelers with two riders taking their first wins at A1 level, hopefully the first of many and another A4 win to bring our tally here to three so far this year.